Is Your Dog Collar Wise?. 5 tips for creating a dog that listens to you. 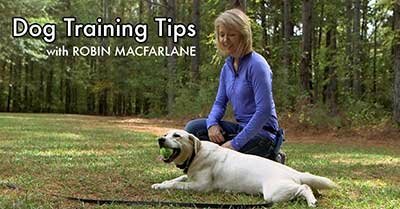 One of the problems people encounter when utilizing a remote collar for training their dog is they inadvertently end up creating a dependency on the tool. Their dog listens to them just fine as long as the collar is on and not so much when the collar is off. In other words, they create what some refer to as a "collar wise" dog. I personally don't believe the dog has linked their behavior to the presence or absence of tools nearly as much as we want to give them credit for. It is us, the human part of the duo, that have rendered ourselves powerless unless we are using the e-collar to get Fido to listen. Then try a six-week time period where you don't charge the collar. Let the battery go dead. Keep putting the e-collar on your dog and keep going through the motion of using it even though the battery is dead and nothing is working. See how long your dog keeps listening even though she is wearing that collar. Having an uncharged collar on the dog for this period of time basically turns it into a dummy collar (a non-working e-collar receiver that some of the older training protocols recommend). The whole concept is silly and about as effective as having nothing but dummy police cars sitting along our nation's highways. How long do you think it would take us to realize the lights and sirens never turn on when we go whizzing by doing 20 over the speed limit? In reality some of us have made our dogs "enforcement wise". We never intended to, but because we might be limited in our knowledge of how to get a dog to listen when not wearing the e-collar (or when we don't have the remote in our hands) we got stuck. Then we ended up believing the dog knows the difference between collar on and collar off, rather than the dog knows the difference between mom follows through and mom doesn't follow through. Get the idea? We're the ones who created an association in the dog's mind that e-collar on = I mean it. No e-collar on means = do as you please. So let's start fixing this problem. Here are 5 tips for creating a dog that listens to you. 1. Don't give a command that you have absolutely no way or no intention to enforce. Imagine you are relaxing on the deck watching your dog play in the yard. You want her to come over to you, so you call her, but she continues chasing butterflies or rolling her ball or snuffling the grass or whatever is the object of her distraction at the moment. You have no leash or line on her, no remote nearby and no intention of getting out of your comfy seat. Well my friend, that is something you need to consider BEFORE the word "come" escapes from your lips. It won't take too many episodes of no-follow through for your dog to figure out that what you say is just background noise. 2. Pay the dog for doing something you like! We all like to get paid once in a while, so do our dogs. Getting something in return for our efforts keeps us trying. And those who play slot machines can testify to the power of those flashing bells and whistles when they get a jackpot. Our dogs are motivated in a similar way. They want to know what is in it for them. So show them. A treat, a toss of the ball, a game of tug, or a good belly rub, whatever your dog loves can be used as a paycheck. When your dog does for you, do something for them. And once in a while a big paying "jackpot" or "bonus check" goes a long way toward developing the attitude that trying over and over is worth it. 3. Use your body language to influence your dog. Dogs tend to move away from what moves toward them and toward what moves away from them. Think about that when calling your dog to come to you. If you move AWAY from the dog she will be much more likely to follow you. If you need your dog to stop jumping keep move TOWARD her, which causes spatial pressure (just like someone getting too close in your personal space) and gets the dog to back up. 4. Keep a light line dragging from the dog. One of the most simple and effective techniques is to keep a line dragging from your dog. A light leash or piece of rope provides you a handle to take hold of. You can now ensure that your dog comes to you when called or moves away from charging the door when you need her to. 5. Change your vocal intonation. In a pinch you can use your voice to influence your dog. As a general rule you want to issue commands in a non-emotional tone that is relatively flat. But when you have no back up and you need your dog to come to you, a tone that sounds like there is a great party not to be missed ("Fifi, Come" said with excitement) combined with movement AWAY from the dog usually gets a dog curious as to what the excitement is about and moving in your direction. By the same token, a stern lower octave "NO" will be effective (if used sparingly and not as a regular and frequent part of your training) in getting your dog to stop in her tracks if she is darting toward the juicy tidbit you accidentally dropped on the floor. Use these tips in combination with your e-collar training, and you won't be left helpless when your dog is naked. Next Article: "How long does my dog have to wear the collar?" Pull-Quote= 5 Tips for creating a dog that listens to you!